The short hop across Wallace’s line ensures a trip to Lombok has birds to make it worthwhile, including an endemic Scops Owl and a highly range restricted Lorikeet. Lombok lies to adjacent to Bali, and over recent years has developed its tourism base to compete. This makes for good inward transport connections, and a good local infrastructure. From a birding perspective Lombok lies just across Wallace’s Line, so supports an avifauna that is notably different, despite the proximity. 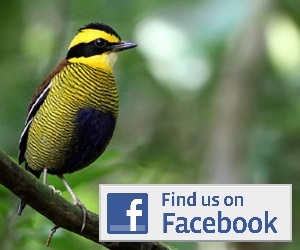 The best birding on Lombok lies within the mountainous centre, crowned by the 3,600 m peak of Gunung Rinjani. The slopes of the mountain support some good condition forest, which gives way at higher altitudes to montane scrub and grassland. These forests can be accessed from a few different points, but the easiest is probably from the village of Senaru in the north. Birding can be good around the village itself, particularly in the river gorge below the village and on the path to the Sindang Gila waterfall. Look out here for the pigeons, honeyeaters and raptors. The birding gets better in the proper forests above Senaru. From the top end of the village a footpath leaves for the summit of Rinjani, it first passes through farmland for 1-2 km before reaching the edge of the Gunung Rinjani National Park and the real forest. From this point it climbs through excellent condition forest for around 7-8 km before emerging into the montane scrub and grassland before the ridge of the summit crater is reached. Birding along this forested section can get you birds including the pigeons, thrushes, Elegant Pitta and the forest kingfishers. Another area where half decent forest can be accessed relatively easily is on the road between Sembalun and Sapit. 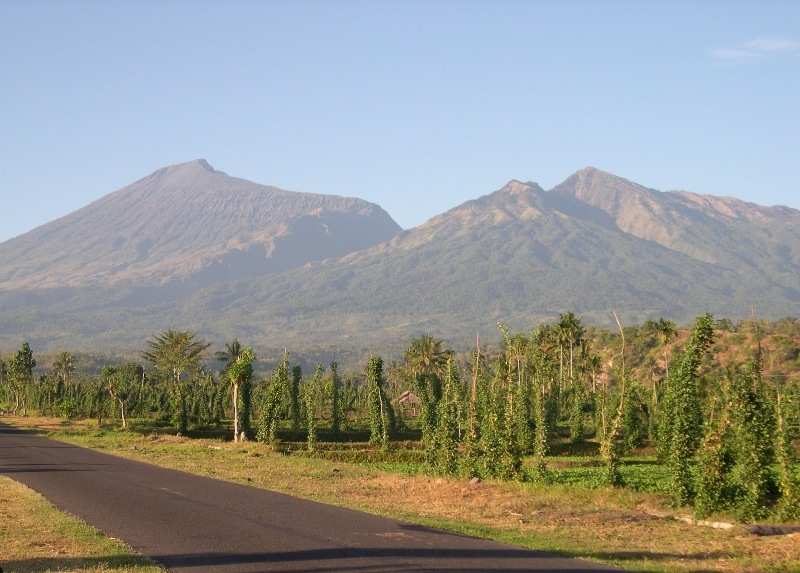 This lies on the eastern side of Gunung Rinjani and so is a greater distance to travel for anyone staying in the more popular resorts of Senggigi or the Gili Islands. From the village of Sembalun the road climbs to around 1,600 m, after entering the forest at around 1,300 m. Around 6-7 km of the road lies within forest before emerging again above the village of Sapit. Birds possible in this area are similar to those possible on the trail above Senaru, as mentioned above. 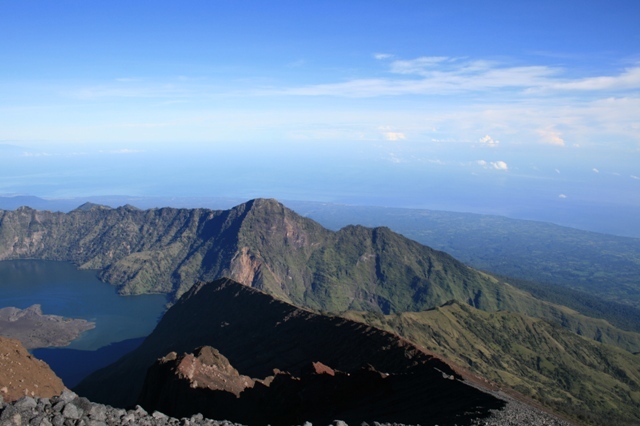 An area that formerly was described as good was Tetebatu on the southern slopes of Rinjani. Accessed from the village, trails are said to head north towards good forest. Recent reports from this area describe trouble finding any actual forest, so unless you are having real trouble reaching either of the two locations mentioned above, probably easier to skip this one! The lowlands on all sides of Gunung Rinjani are arid in comparison to the higher slopes, and generally denuded of any decent sized patches of forest. However, as anyone staying on Lombok is likely to be staying near the coast you will probably feel the need to take a wander and a look around. This can pay off, as many of the more widespread birds can be found clinging to small patches of forest along ridges or slopes, and in well wooded gardens and hotel grounds. These include such things as the Elegant Pitta, honeyeaters, kingfishers and pigeons. Rinjani Scops Owl can also be found in the forested valleys near Senggigi. 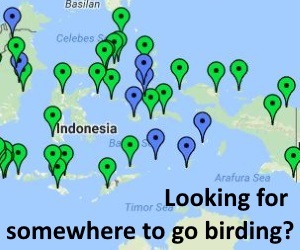 The Gili Islands deserve a particular mention as their position sticking out into the Lombok Straits makes them quite strategic for observing raptor and seabird migration in season. In the case of the former this could means hundreds of Chinese Goshawk, Japanese Sparrowhawk and Oriental Honey-Buzzard (October-November), and in the case of the latter a regular passage of Streaked and Wedge-tailed Shearwaters, Matsudaira’s Storm-Petrel and Red-necked Phalarope (September-January). Most visitors to Lombok will probably either fly in direct, or come via Bali. Coming from Bali there are a choice of short flights to Mataram, or boat transfers. The regular public ferries depart Bali from Padangbai and arrive in Lombok at Lembar (to the south of Mataram). In addition to these there are private boats that have connections direct to several points in Lombok, including the Gili Islands. Information about these private boats can readily be found from any travel agent/tour seller in Bali (of which there are many hundreds!). The airport has recently moved to the south central part of the island, with a bus transfer service operating to Mataram and the coastal resorts at Senggigi. This does now mean that the airport is over an hour’s drive away from the main city. For accommodation options at all of the places mentioned above, a guide book like the Lonely Planet is probably most useful, and will list the options that suit your desired level of comfort. The main resort-style hotels are situated around Senggigi on the west coast, with a growing number now appearing near Kuta on the south coast. Backpacker-style places dominate the Gili Islands, but some of these are now going up-market. Accommodation in the villages around Gunung Rinjani tends to be of the small guesthouse style, but some are very nice and homely, and are used to accommodating foreign visitors. To go birding in Gunung Rinjani National Park you technically need permission from the park. If you are just birding along the road between Sembalun and Sapit you probably don’t need to worry about this. If you are heading in from Senaru in the north then you might need to deal with it. The trail passes by a national park post as it leaves the village, and this is likely to be manned. If you just say you plan to birdwatch along the lower sections of the trail, and not stay in the forest overnight, or walk as far as the ridge, then you may well just be allowed in un-guided. If you plan a longer stay, or in particular you plan to walk to the high ridges or summit, then you will need to take a guide. The easiest way to arrange this is through the accommodation in Senaru or a travel agent near your accommodation elsewhere (as far away as Bali). Booking through such agents will also then take care of the park formalities. Be wary about trying to walk to the summit without a guide, even if you think you can get into the park without being challenged. People regularly die on the mountain, usually by getting lost and blundering off cliffs in bad weather, plus the location of water supplies up high requires some prior knowledge. Scroll down the page for related information, including photos, comments, trip reports, guides, services, articles and news. If you have additional information or experiences that might help others, please feel free to post it below as a comment. Your feedback helps to keep this us up-to-date.